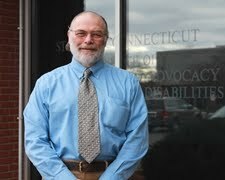 On June 2, 2010, the Connecticut Superior Court dismissed Blick v. Connecticut, an "aid in dying" case. "Aid in dying" is a euphemism for physician-assisted suicide and euthanasia. As used in the case, aid in dying refered to physician-assisted suicide. In Connecticut, assisting a suicide is prohibited by two statutes: Conn. Gen. Stat. § 53a-54a, which prohibits intentionally causing a suicide "by force, duress or deception"; and Conn. Gen. Stat. § 53a-56, which prohibits intentionally causing a suicide "other than by force, duress or deception." Neither statute contains an exception for physician-assisted suicide. On October 7, 2009, the former Hemlock Society, now known as Compassion & Choices, announced the lawsuit. The claim was that § 53a-56 does not reach a physician who provides "aid in dying" because aid in dying is not "suicide." See Verified Complaint, ¶ 40. The complaint also implied that the patients at issue would be "dying." This would not necessarily be the case. See Opinion letter here: http://www.euthanasiaprevention.on.ca/ConnMemo02.pdf. "[T]he legislature intended the statute to apply to physicians who assist a suicide and intended the term "suicide" to include self-killing by those who are suffering from unbearable terminal illness. The language and legislative history of § 53a-56 compel the conclusion that the defendants [state’s attorneys] would not be acting in excess of their authority if they prosecuted the plaintiffs under § 53a-56 for providing 'aid in dying.'" The Court also stated that the claim was not justiciable and that any change in the law would be a task for the legislature. The Court said that the legislature's participation was particularly important given "significant . . . concerns" about physician-assisted suicide. These concerns include whether assisted suicide "threatens . . . the poor, the elderly and the disabled." The Court also found that the lawsuit was barred by the doctrine of sovereign immunity. The Court concluded: "The case is hereby dismissed because it is barred by the doctrine of sovereign immunity and, as stated above, it presents a nonjusticiable claim, one which must be decided by the Connecticut legislature, and not by the court." Verified Complaint, filed October 2009. Memorandum in Support of Defendants’ Motion to Dismiss, dated November 19, 2009. Reply Memorandum of Law in Support of Defendants’ Motion to Dismiss, dated February 11, 2010. Memorandum of Decision on Motion to Dismiss, dated June 1, 2010 and filed on June 2, 2010 (dismissing the case). http://www.katu.com/news/26119539.html?video=YHI&t=a (last visited Sept. 24, 2010) ("‘physician aid in dying’ [is] better known as assisted suicide"). Blick & Levine v. Office of the Division of Criminal Justice, et. al. (Blick v. Connecticut)(Conn. Super. Ct), CV-09-5033392, Memorandum of Decision on Motion to Dismiss, filed June 2, 2010, at 25. Id., Memorandum of Decision on Motion to Dismiss, at 16, middle paragraph.